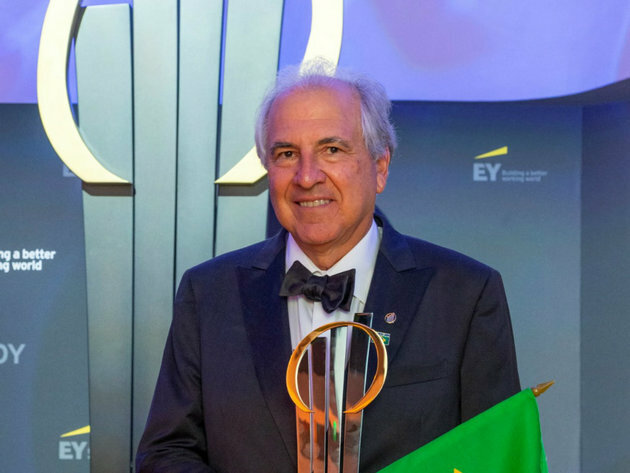 Rubens Menin, Chairman of Brazil-based MRV Engenharia, was named EY World Entrepreneur Of The Year 2018 at an awards ceremony held in Monte Carlo on Saturday, June 16. Rubens was picked from among 56 country winners from 46 countries and regions vying for the title here in Monaco. The Republic of Serbia had its representative for the sixth time at this contest, whose eighteenth edition was organized this year by EY. As announced by EY, Serbia was represented at this year's Entrepreneur of the Year contest by Radovan Milojevic, founder and owner of Stublina, the sixth winner of the EY Entrepreneur of the Year Award in Serbia. Stojnik-based Stublina has been operating successfully for 25 years now. The company produces aluminum joinery locks and fittings. Milojevic was picked among 33 candidates by an independent jury. Rubens, founded MRV, a homebuilder and real estate company, in 1979 and has grown it into Latin America’s largest real estate developer by units sold and Brazil’s leading low-income housing builder. MRV employs more than 24,000 people and has built some 300,000 properties. In these cities, 1 in 200 people lives in a property built by MRV. Rubens becomes the first ever EY World Entrepreneur Of The Year winner from South America.